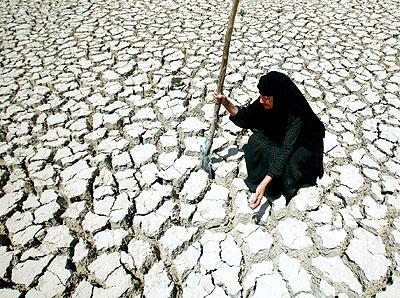 The Middle East and North Africa region is the most water scarce region of the world. The region is home to 6.3 percent of world’s population but has access to measly 1.4 percent of the world’s renewable fresh water. The average water availability per person in other geographical regions is about 7,000 m3/year, whereas water availability is merely 1,200 m3/person/year in the MENA region. The region has the highest per capita rates of freshwater extraction in the world (804 m3/year) and currently exploits over 75 percent of its renewable water resources. Due to burgeoning population and rapid economic growth, the per capita water availability is expected to reduce to alarming proportions in the coming decades. By the year 2050, two-thirds of MENA countries could have less than 200 m3 of renewable water resources per capita per year. 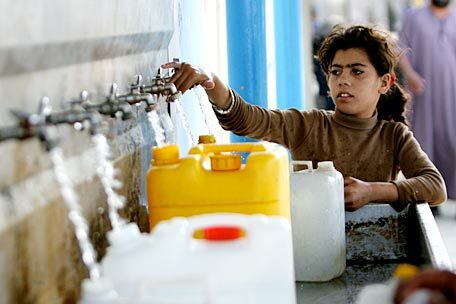 Around 85 percent of the water in the MENA region is used for irrigation. This level of irrigation is not inherently sustainable and leads to overuse of scarce renewable water resources, which in turn results in increased salinisation. MENA’s average water use efficiency in irrigation is only 50 to 60 percent, compared to best-practice examples of above 80 percent efficiency under similar climate conditions in Australia and southwest US. Similarly, physical water losses in municipal and industrial supplies in the region are way above world averages. Nonrevenue water is 30 to 50 percent in some cities, compared to global best practice of approximately 10 percent. Tagged Agriculture, Irrigation, Jordan, MENA, Middle East, Palestine, Trans Boundary Water, Water, Water Management, Water Management in Middle East, Water Problems in MENA, Water Scarcity in Middle East. Bookmark the permalink. I invite members of the MENA sustainability network to attend a webinar on “Natural resources management, climate change and relationships to food security in the Mediterranean ”(by Professor Pandi Zdruli – Mediterranean Agronomic Institute of Bari, Italy, MAIB), followed by a speech on “Re-afforestation to fight land degradation in semi-arid regions: the Maltese case study ” (by Dr. Gaetano Ladisa – MAIB). You only need a computer with internet connection, headphones and the attitude to share your ideas on the topic discussed! Follow Feeding knowledge on Facebook https://www.facebook.com/Feedingknowledge and Twitter https://twitter.com/FeedKnowledge. Scientific management of water resources is the only answer to MENA region. What is essential is the prevention of loss of flood water to sea during rainy seasons by building walled storage above land reservoirs around lakes / ponds / open land to pump up flood water to be stored for long term use. Ensuring mass water transport preferably by piped means to remote end user points. Harvesting fresh rain water on open seas during raint seasons is not a bad idea, since 90 % of the demin rain water falls back vainly into saline sea.Means of collection & transport to coastal storage & further to remote lands. Recovery & reuse of STP / ETP waste water for irrigation / industrial re use. Water conservation & water replacement technologies. A sustainable water pumping technology with good deal of energy efficient is the best answer for ever.